Bird in the Air. | Dreams are the poetic expression of the soul. 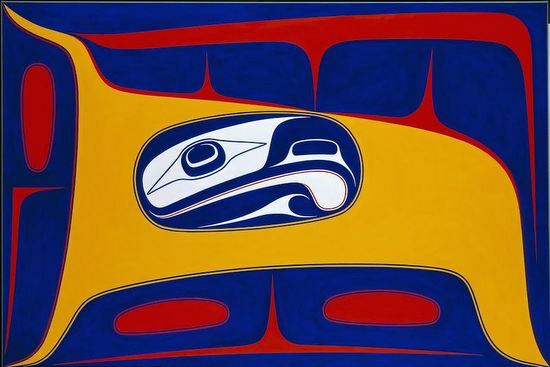 This entry was posted in 21st Century Art, 21st century Canadian art, Acrylic paintings, Art, Artists, Canadian art, Canadian artists, Contemporary art, Contemporary Canadian art, First Nations Art, Haida Art, Michael Overleaves, Michael Teachings, Visionaries and tagged Acrylic on canvas, Alaskan-born artists, Artisan souls, Artists born in 1946, British Columbia, Canadian creative geniuses, First Nations artists, Jewellers, Lithographers, Mature souls, Members of the Order of British Columbia, Members of the Order of Canada, Painters, Robert Davidson, Sculptors, Vancouver. Bookmark the permalink.